Word-class athletes have driven Oakley Flak Jacket 2.0 sunglasses to create innovation after innovation, takes that to the next level with the latest in performance technology. Oakley engineered Flak Jacket 2.0 to let you swap out the lenses with ease, making possible to optimize the vision in any sport environment. All lenses feature High Definition Optics technology, as well as a better adjustment to the nose. Every athlete could choose among different nose pads that fit him or her better. 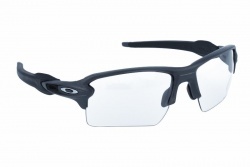 Optimized with unobtainium components as in the earsocks and nosepads keep glasses in place, increasing grip despite. 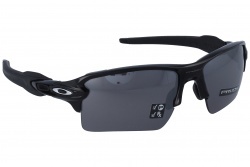 Oakley’s three-point attaching optimizes comfort and keeps in an exact optical alignment, providing incomparable clarity. Semi-rimless frames as the ones used in these sunglasses ensure that no element blocks your sight when you look down. 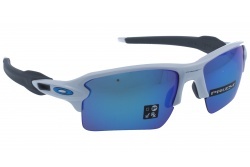 The clarity exceeds every possible thoroughness as well as it increases clear vision in all the periphery part of the lenses, protecting you against high-velocity and high-mass impact. All lenses are manufactured with pure Plutonite lenses to filter out 100%of all UV rays and with Iridium lens coatings that optimizes contrast and minimises glare. The coating are specifically formulated for optimal balance between reflection, transmission and absorption, depending on the targeted environment for usage. 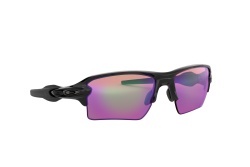 This is all possible through O-Matter stress-resistant frame material because it is both lightweight and durable for all-day comfort and protection.